Enjoy the best inspirational, motivational, positive, funny and famous quotes by Albert G. Brown. Use words and picture quotations to push forward and inspire you keep going in life! I want Cuba . . . 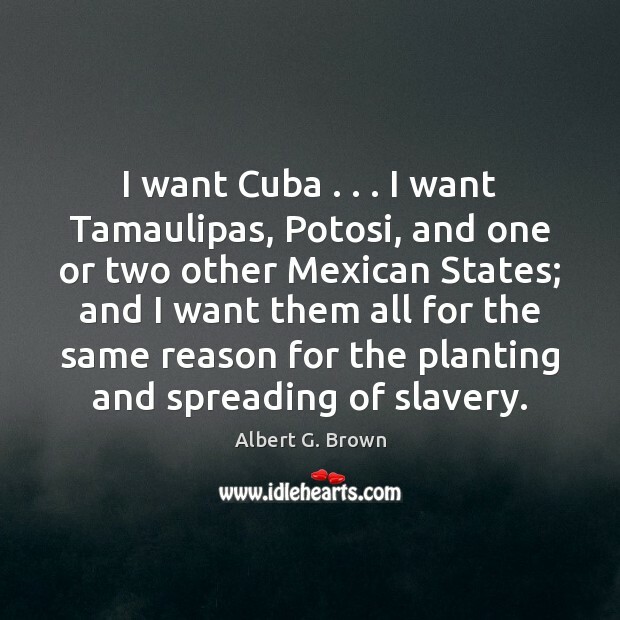 I want Tamaulipas, Potosi, and one or two other Mexican States; and I want them all for the same reason for the planting and spreading of slavery.